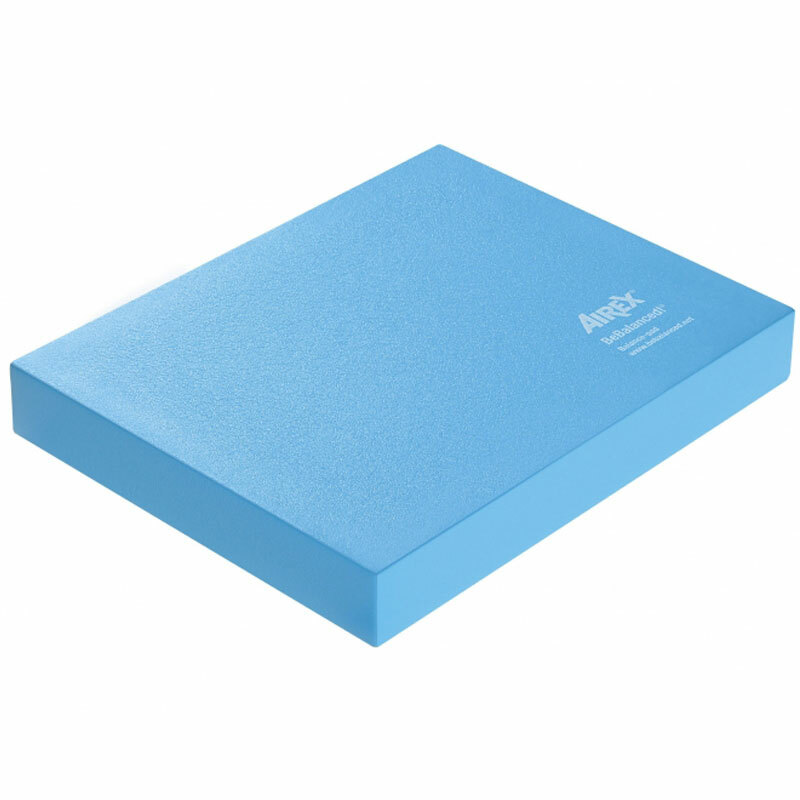 The AIREX ® Balance Pad with its smooth surface is ideal for starting out with barefoot balance training. Due to the yielding foam, the body is constantly challenged in order to maintain balance and stabilise the joints. Training with the Balance Pad can purposefully improve conditional and coordinative abilities in combination, for example strength, endurance, differentiation and balance. Manufactured from the high quality soft AIREX foam. The thickness of 6cm gives the desired destabilising characteristics. Easy to clean foam material. Resistant to microorganisms such as bacteria, mould and fungus. Recommended to use with an AIREX ® mat underneath as the ideal complement. Please note the mat is to be ordered separately. 50cm x 41cm x 6cm (19.7" × 16.1" × 2.4"). Weight - approx. 0.7kg (1.5lbs). Be Balanced! (Extensive and varied training programme). 4 out of 5 Just what I needed! I have Multiple Schlerosis, and I’ve been suffering from really bad dizziness. My Neurologist referred me for Physiotherapy, to see if it could help, and I was told to start using a balance pad for certain exercises. I purchased the Airex Balance Pad because it was exactly the same pad as I was using at the hospital. It does do what it was designed to do, and provide an unstable surface to stand on, so from that point of view it is excellent. However, I have deducted one star because of the inflated price! I don’t think the high price is set by Newitts, who handled my purchase very well, I think it is the actual company, Airex, that set the price so high, but considering that this product is simply a dense piece of foam effectively, it does seem to me to be priced far too high. I am having vestibular physio for an inner ear problem which causes poor balance and the Airex Balance Pad has been brilliant for the exercises I am doing. Well worth the money and I was delighted with the service received from Newitts.com.